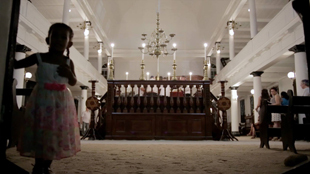 Filmmaker Miguel Kohan connects his own memories of his Jewish creole family in rural Argentina (jewish gauchos) with the Sephardic Diaspora which originated from Spain in 1492. The journey takes him to the jungle and for the first time in a long time reveals abandoned synagogues and cemeteries at the Jodensavanne (jewish savannah in dutch) in Surinam and the Caribbean island of St Eustatius. From there he goes to New Amsterdam (New York), Jamaica and Recife (Brazil). 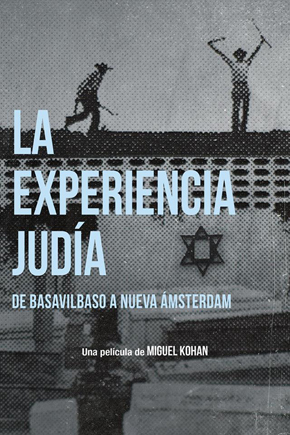 The Jewish Experience, From Basavilbaso to New Amsterdam is a rare trip to the 17th Century in which we discover history which was hardly known for two hundred years. Miguel's adventures proof that as repeated throughout history, Jews that have settled in these remote places have turned their exile into strength, in coexistence with the locals. Before venturing on the New York, Kohan learns about the recognition and assistance (given by mostly Jewish merchants at great risk to their ships) of St. Eustatius to the rebelling British colony that later became the United States of America. Miguel Kohan received a Master in Film and TV Production from the Department of Film and Television of the University of California in Los Angeles, UCLA. Kohan previously, as Director and Associate Producer, he made a documentary film called Café de los Maestros, produced by Lita Stantic, Gustavo Santaolalla and Walter Salles. It had its international release at the 58th Berlin International Film Festival, and opened at Telmex Arena the International Film Festival of Guadalajara, participated at the International Film Festival of Riocine Brazil, the International Film Festival of Jerusalem (Israel), the International Film Festival of Salonica (Greece), and others 23 international film festivals around the world, getting various awards. In 1999, he directed “La Boca, el barrio de Pérez Celis” and “Moisesville” (short film) for People & Arts, a Discovery Channel & BBC Network broadcast. The same year, he creates K Films Productions, which produces feature documentaries, alongside commercials, music-videos and Epk´s, for Surco, Universal Music, BMG, Deutsche Grammophon, MTV, and program productions for The Sundance Channel, Frontline World, One Nation Films, to name some of them.